This European standard applies to metallic valves as pressure accessories for industrial applications with a maximum allowable pressure PS greater than 0,5 bar in accordance with European legislation for pressure equipment and specifies minimum requirements applicable to design, manufacture, testing, materials and documentation. 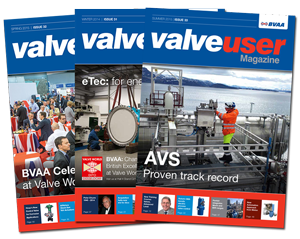 All relevant essential safety requirements of the European legislation for pressure equipment applicable to valves have been taken into consideration and are addressed in this standard. The Standard has been amended at the request of the Harmonised Standard Consultant for the Pressure Equipment Directive so that it complies with the Directive. The Amended standard should now be published in the EU Official Journal. The standard has been referenced in revised BS EN 593:2017 General Purpose Butterfly Valves. The Annex ZA is extensive and complying with BS EN 16668 will address all the essential safety requirements of the European legislation for pressure equipment as they apply to valves. It will be referenced in other valve product standards. A revision of EN 593 will be undertaken once EN16668+A1 has been listed in the Official Journal. The Annex ZA will be deleted from EN 593 and reference will be made to EN16668 Annex ZA, The Overview document provides more information about the content and has been prepared by Ron Strang and Martin Greenhalgh of BVAA. Please send any comments or questions to martin.greenhalgh@ntlworld.com and rons@alco-valves. com. The Overview will be updated once the draft of EN593 has been published for public comment.